Moving large, heavy and awkward shaped items can be a difficult challenge to overcome without the right equipment to help. 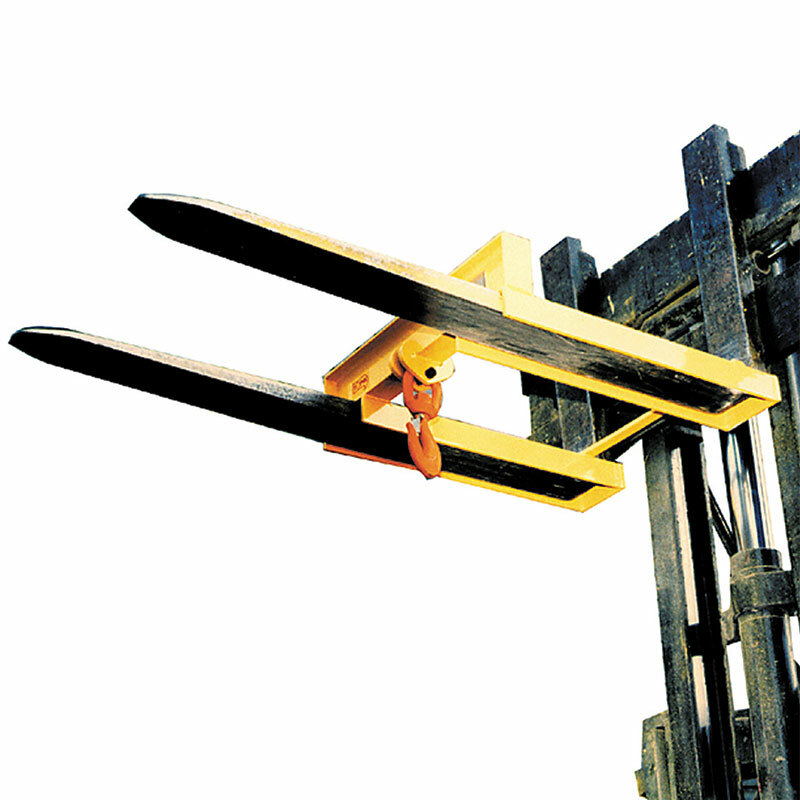 These lifting bracket & hooks offer a simple way to transform your forklift into a crane, enabling you to easily move items which would usually require more heavy duty equipment. They are hot epoxy coated providing durability to ensure that it serves its purpose and has a long life span. Safety factor 3 in accordance with EN 13155.2003, giving you peace of mind that they will meet safety requirements and they are manufactured without load bearing welds. There is a choice between two capacities; 1500kg or 3000kg, providing options to meet your particular requirements. Please note that the swivel hook has to be purchased separately from the bracket, so please ensure to select both items when purchasing.